Not just Chiro - Moving you and your family forward! CALL OR TEXT TO MAKE APPOINTMENT OR BOOK ONLINE! Your neck is a complex structure consisting of bones, ligaments, tendons and nerves. Its main job is to hold the weight of the head (5 KGS) which is no means an easy task. Not to mention supporting the spinal cord and bloods vessels to and from the head and neck as well as containing passageways for air and food. It is no wonder that the majority of us at some point in our lives are exposed to pain and discomfort in and around the neck region. Common symptoms include stiffness, muscle ache, headache, reduced range of motion, nerve pain- pins and needles or tingling in the arm or muscle soreness. Some of the more common causes include overuse of the neck muscles. This can often be precipitated by poor posture during everyday activities. Whiplash is a common result of a car accident despite how minor the accident may have been. Usually when a car is hit from behind the head is thrown backwards first followed by the head and neck being thrown forwards when the car comes to a stop. This may cause strain or spasming in the muscles of the neck, ligaments to stretch and tear or along a more serious nature, fracture and disc damage. Poor posture puts extra sprain on the muscles and ligaments. Standing with the shoulders slouched forward and your chin pointing forward, slumping while seated and sleeping face down are all common causes of neck pain. These are things you may not be aware of that your chiropractor can help to determine. Also known as wry neck, it may be known by the asymmetrical head position. It can be inherited- so often seen in the paediatric patient or acquired- develops in the adult for an assortment of reasons. It causes limited range of motion, neck pain, headaches, stiffness and swelling of the neck muscles. Often early treatment will help with this condition and prevent worsening. Defined as degeneration of the some or all regions in the cervical spine. This can be the result of many things including the aging process coupled with poor posture over a long period of time or from a previous traumatic injury that was never properly rehabilitated. Symptoms may present as pain and stiffness that is worse first thing in the morning and improves as the day goes on. Further pain that may refer into the shoulder or arm and may include headaches. Neck pain can usually be successfully treated with chiropractic care. Depending on the cuase, your treatments may include adjusting, soft tissue therapy, mobilisation, exercises and stretches, heat and cold packs, posture advice and pillow advice. Each tool used to treat a patient is specific to the nature of the patients presenting symptoms. As chiropractors, we want to get down to the cause of the pain and make sure that we can alleviate that long term. Chiropractic management of mechanical neck and low-back pain: a retrospective, outcome-based analysis. McMorland G, Suter E., Canada. A study done in Canada wanted to examine the outcome of patients with mechanical (uncomplicated) neck pain following chiropractic treatment. Patients were subjected to an average of 12 treatments over a period of four weeks. Analysis was based on pre and post treatment. Results showed that pain and disability was reduced by 53% after treatment. These results indicate that chiropractic manipulation is beneficial for the treatment of mechanical neck pain. Another study assessed the risk of serious injury from manipulation of the neck and further, compared this to the risk of using NSAID’s (anti-inflammatory) for the treatment of neck related problems. 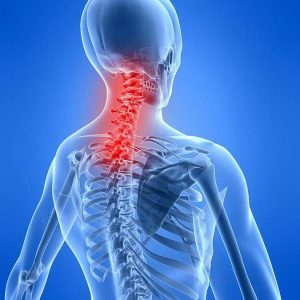 The best evidence indicates that cervical manipulation for neck pain is much safer than the use of NSAIDs, by as much as a factor of several hundred times. Nonsteroidal anti-inflammatory drugs (NSAIDs), are often used as the “conventional” first-line treatment for similar musculoskeletal conditions which makes this a very scary statistic. A risk assessment of cervical manipulation vs. NSAIDs for the treatment of neck pain. Life Balance Adjustments is conveniently located at the Diamond Valley Shopping Centre. In the arcade opposite IGA!